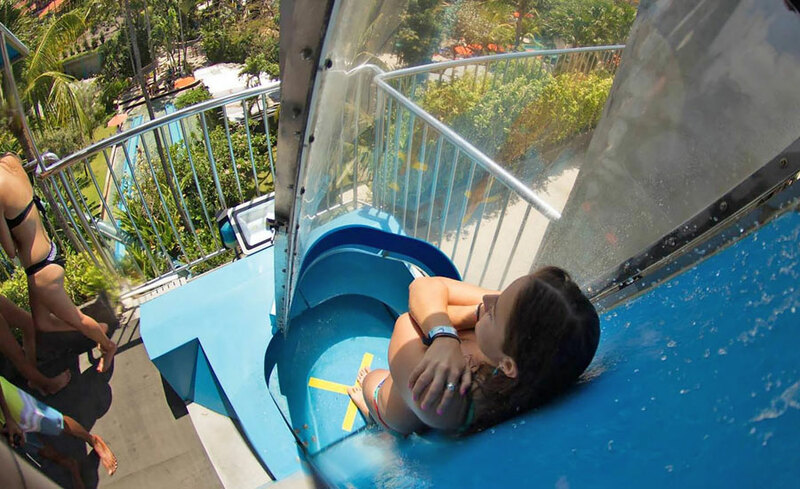 You want to know the price of admission to Waterbom Bali, as well as the type of game that are in Waterbom Park Bali? If yes, please continue reading this page! One of the tourist attractions in Bali that you must visit while on vacation in Bali is Kuta. Kuta is very famous, almost everyday is never empty of foreign tourists and domestic tourists. Then what is the best you can do in Kuta Bali? 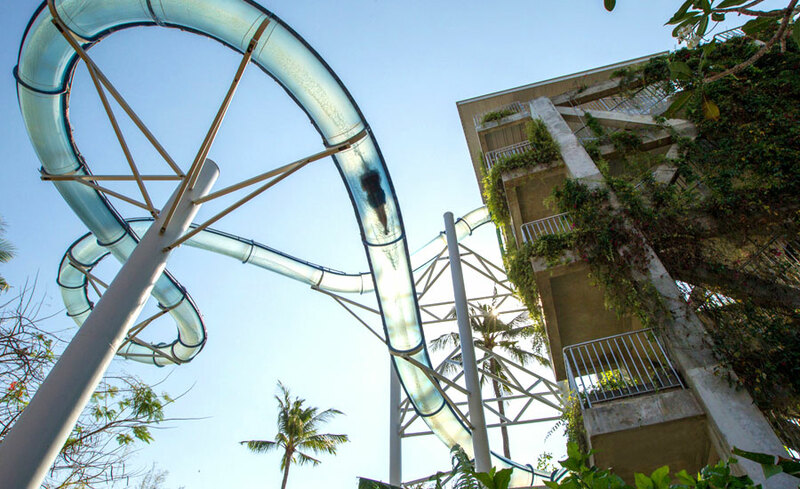 In addition to the Kuta beach, Waterbom Bali Kuta is one of the sights that you must visit. 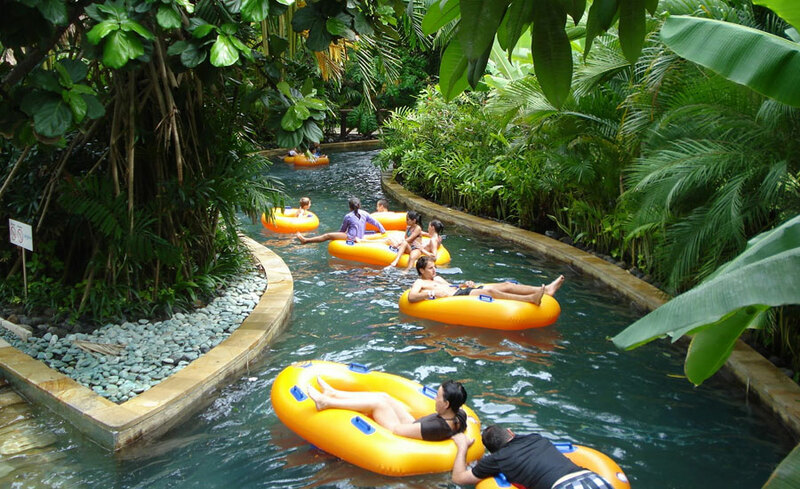 Waterbom Bali is a water park recreation, very perfect if you are on vacation with family. This park is one of the tourist attractions for children in Bali which is our recommendation. 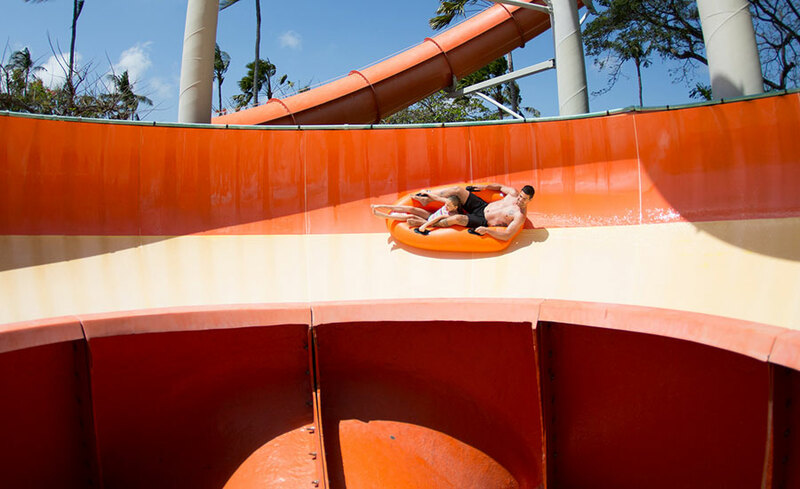 Waterbom Bali water park has an area of 3.8 hecktar and inside it has water slide with standard international. 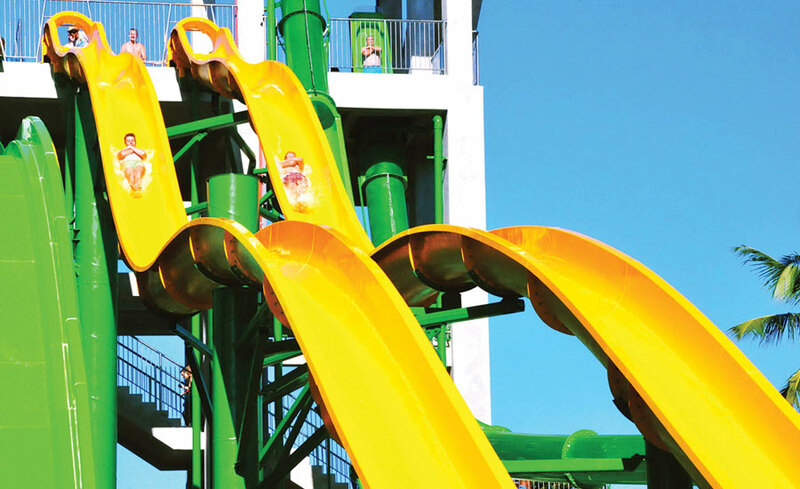 There are 9 types of games in Waterbom Bali, such as smash down, funtastic, pipeline, super bowl, boomerang, boogie ride, lazy river, race track, and climax. If you stay in Kuta area, you only need to call a taxi or can also walk to Bali Waterbom park. If you are staying in other areas of Bali, such as Ubud, you will need to find the transportation to Kuta Waterbom Park. Most of the tourists don't like to swim in public pools, because the water quality is not good and many contain water purifier chemicals. 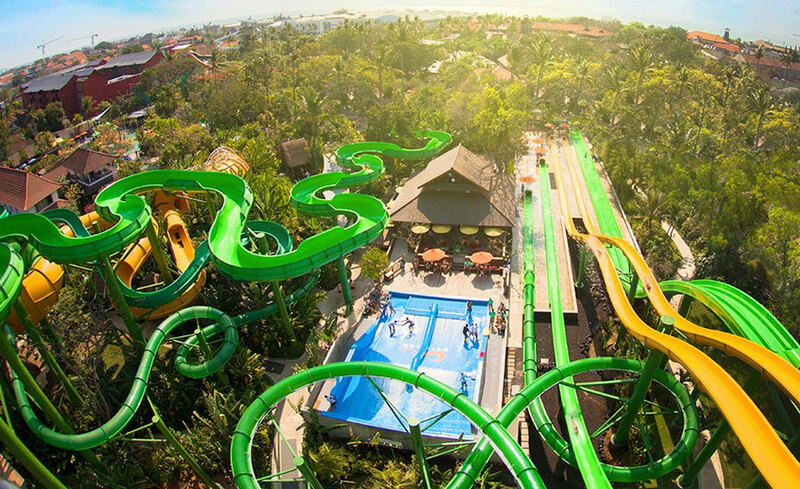 In Bali Waterbom Park Kuta is very different, the water feels fresh and the skin does not feel dry, because it uses advanced water sanitation engineering system with salt chlorination. Use of all facilities for one day. Separate charges for Towel, Locker, Gazebo, Euro-Bungy, and Water Blaster apply. Same day re-entry is allowed. Children under 11 years old must be accompanied by an adult. No Food and Beverage to be brought into the park. Pets are not allowed into the Park.